← Happy birthday Maynard Ferguson! This entry was posted in The Brass Section and tagged French Horn, Graveyard, horn. Bookmark the permalink. Oh wow, that’s quite a lot of out-of-commission instruments! 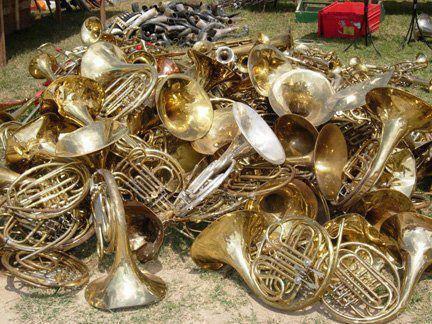 Where is your French horn graveyard?